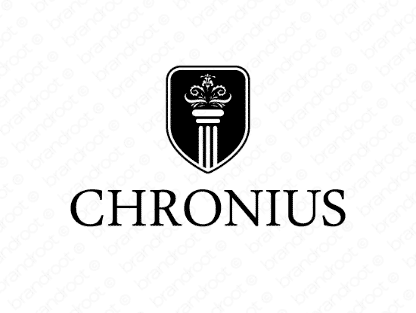 Brand chronius is for sale on Brandroot.com! An exotic and ancient sounding word that is overflowing with sophistication and class. Evokes images of Greek Gods and Goddesses, thereby elevating your company persona to new heights. You will have full ownership and rights to Chronius.com. One of our professional Brandroot representatives will contact you and walk you through the entire transfer process.